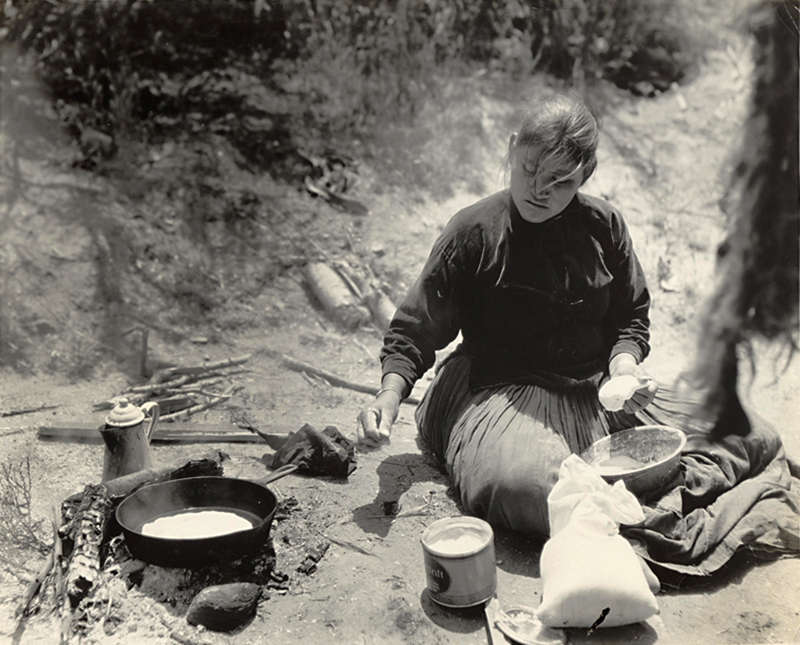 Navajo woman cooking at the Harry Carey Ranch Store & Trading Post, which was located on the west side of San Francisquito Canyon Road in Saugus, just north of today's Copper Hill Drive. 1920s (pre-March 1928). DC2502: 9600 dpi jpeg from original print courtesy of Harry Carey Jr.